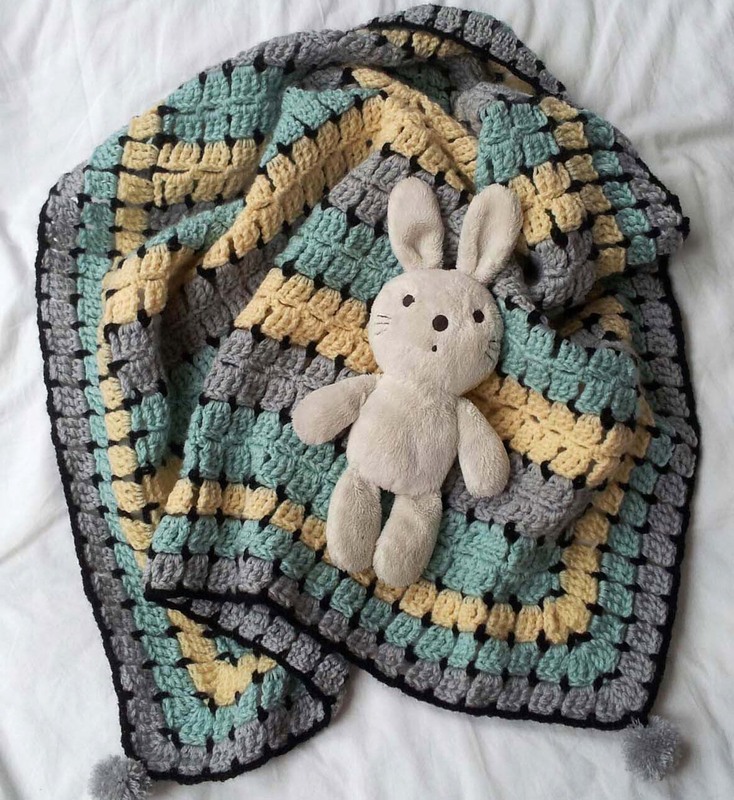 Thank you to Heather Westerby aka thredHED for donating this gorgeous baby blanket crochet pattern to p/hop. This is a great pattern which has both written and chart instructions and is available in both UK and US terms. It is written for DK weight yarn and a 4 mm (US Size 6) crochet hook, but I’m sure you could easily adapt it for heavier or lighter weight yarn. To see what others have made from this pattern, please visit the Retro Baby…Buggy Blanket pattern page on Ravelry.